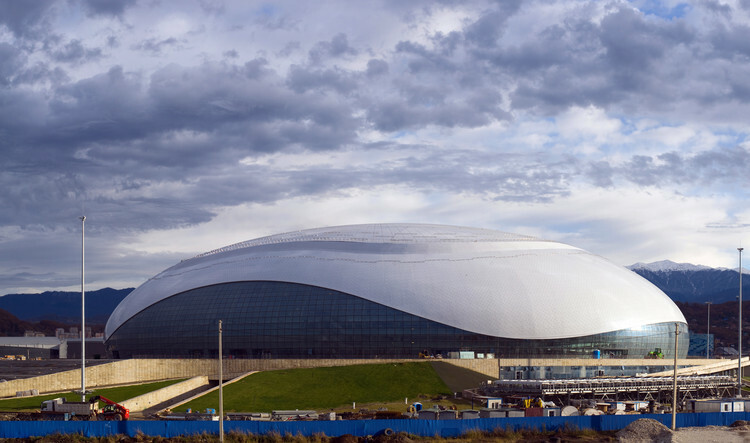 As you may know, the XXII Winter Olympics took place from the 7th to 23rd February 2014 in the Russian city of Sochi on the Black Sea coast. 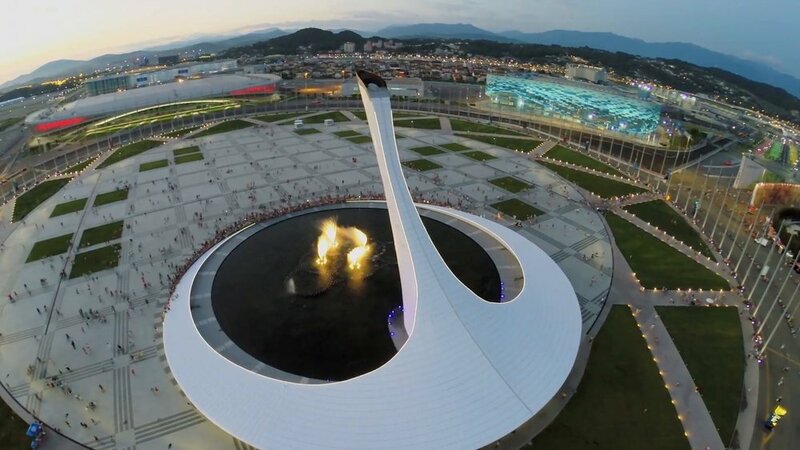 It was the second Olympic Games, after the Summer Games in 1980 in Moscow, to be held in Russia. In total, 70 companies from Germany including Kalzip were involved in the construction of the stadia and infrastructure. 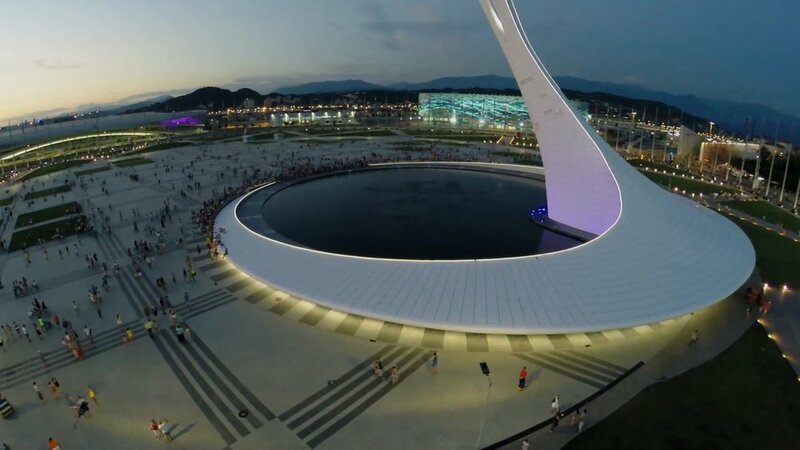 During the opening ceremony, special attention would have been given to the gooseneck-like structure, 47m in height, where the Olympic flame was lit in the Medals Plaza. The curved skin of this monument is made of Kalzip tapered and XT profiled sheets, overclad with composite panels. 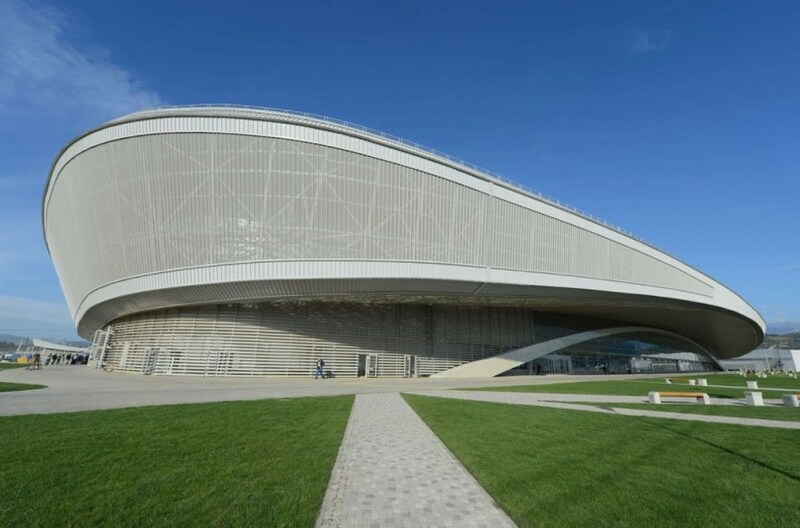 Another highlight is the Bolshoy Ice Dome with a roof area of 22,000 m² in which the Hockey Games will take place. Here too Kalzip was clad in white composite panels with integrated LEDs capable of displaying country flags and even the score of games being played inside. However, on the The Adler Ice Skating Arena, we are actually be able to see Kalzip products. 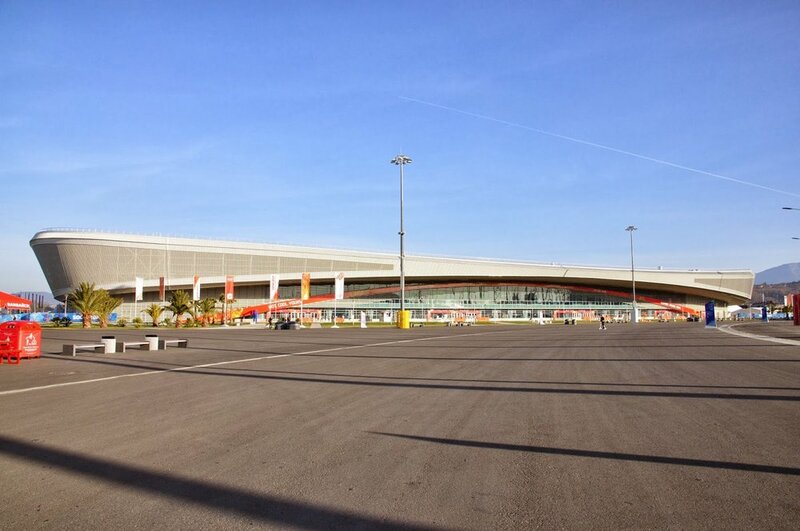 In total 11,000 m² of Kalzip perforated and FC profiled sheets were installed on the façade.